I resonate with light shining radiance. Let your spirit’s light radiate the transforming energy that connects with ALL of life. Become the beacon of light that leads, lends and lifts shared energy with all your encounters today and for the week. Show up. Be seen. Let your light shine. Repeat the phrase… Light Shining Radiance … as your reminding mantra to be an empowering energy field of rapport. Everything instantly becomes beautiful when you allow the resonating power of light to radiate connection. 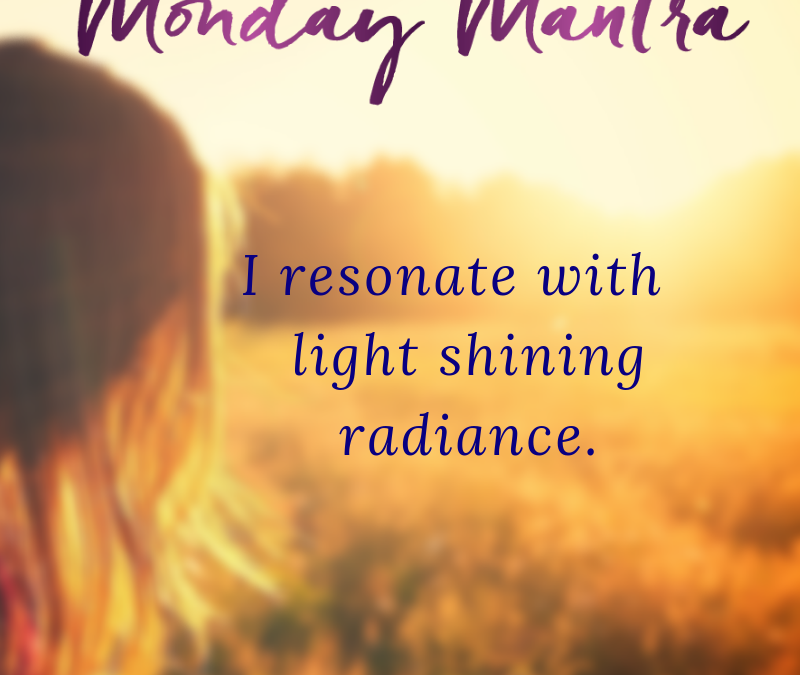 Today, give yourself intentional moments of lifting up your vibrational energy to resonate with light shining radiance. Miracles and serendipity are drawn with accelerated attraction to Light Shining Radiance.